Sugarcane juice is the juice extracted from pressed sugarcane. It is consumed as a beverage in many places, especially where sugarcane is commercially grown such as Southeast Asia, South Asia, Egypt, Latin America and Brazil. A milkshake is a sweet, cold beverage which is usually made from milk, ice cream, or iced milk, and flavorings or sweeteners such as butterscotch, caramel sauce, chocolate sauce, or fruit syrup. Putu Mayam is a local Tamil dish made by rice flour noodle and served with sugar and coconut. Its a type of round, steamed rice flour noodles eaten with sweetened toppings such as desiccated coconut and gula Melaka. Putu Mayam is also known as string hoppers are commonly sold as road side food from market stalls to the street of cities in carts, as well as being made at home. 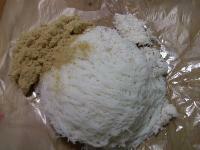 Putu Mayam and Idiyappamstreet foodare the specialty of Indian states TamilNadu, Kerala, andcoastalareas ofKarnataka. Thattu Dosa is thefamous street food of south Indiaespecially in the state of Kerala and TamilNadu.Set Dosa or Saada Dosa is a pure vegetarian delicacy served with sambar and coconut chutney. Its a mouth watering dish made by traditional form of Kerala dosas and serve bystreet foodsellers around the state. South India is known for its high standard food items, specially road side food and eaten on the streets. There more then 100 varieties of Dosas available in south India,other famous dishes from road side stall are Keralas famous banana fry and idlis sambar. Tandoori chicken is a dish originating from Indian subcontinent. It is widely popular in South Asia, Middle Eastern and Western countries. It consists of roasted chicken prepared with yogurt and spices. chicken pakora recipe or crispy chicken pakodais served in most restaurants as an appetizer and is also prepared in many Indian homes. Chicken is marinated in spices and then coated with flour or batter and deep fried. 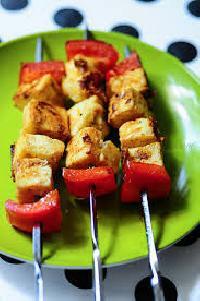 Paneer tikka is an Indian dish made from chunks of paneer marinated in spices and grilled in a tandoor. 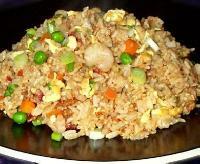 It is a vegetarian alternative to chicken tikka and other meat dishes.